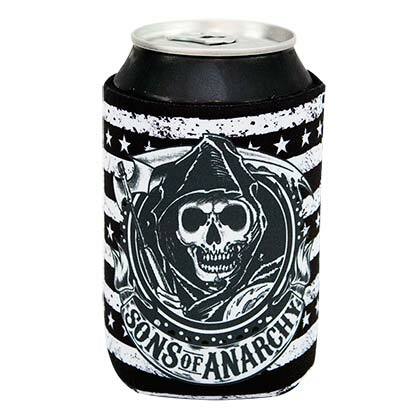 Officially licensed Sons of Anarchy cooler. Comes in white and black with the classic "Sons of Anarchy" reaper logo. Fits most standard size cans.